A new face joins the Abora family with a stunning release: this is Cris Grey with 'Artemis'. 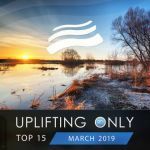 This rising talent gives us a soothing piece of uplifting trance music with a beautiful breakdown efficiently composed of legendary pads and pianos. Cris Grey takes us to another world with his melodies and climax that will delight any true trance fans!